The Yankees got Roger Maris in 1960 and he picked up the MVP Award in his first year coming from the Royals. In 1961, he broke Babe Ruth’s single-season home run record with a homer in the final game of the year. 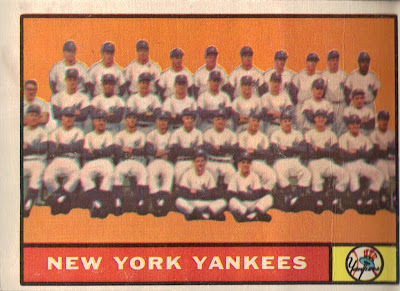 The back of this card features the batting and pitching leaders of 1960 as well as each pitcher’s record against its opponents during the season. Art Ditmar led the team in wins (15) and ERA (3.06). 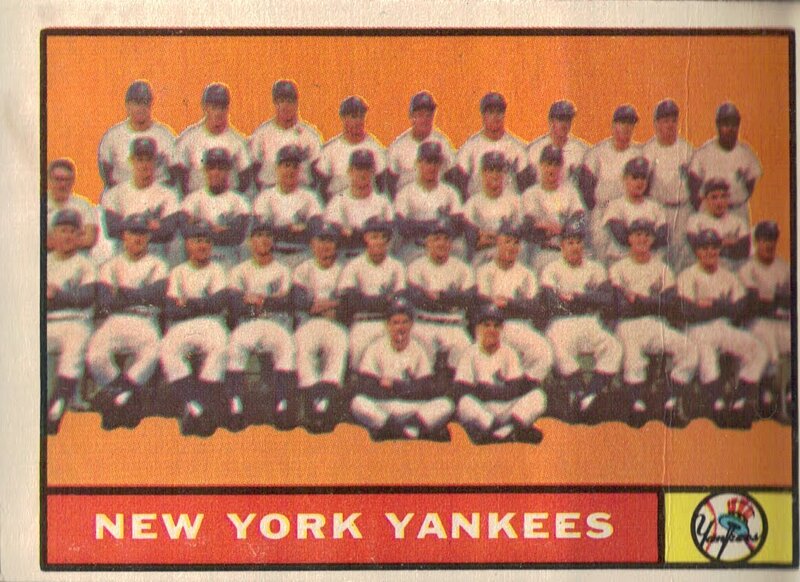 Maris produced the most runs (112), while Mickey Mantle belted a club-high 40 knocks.